Good news: there’s new DLC on the way for BioWare’s giant-sized fantasy RPG. Bad news: it will only be playable on PS4, Xbox One and PC. Seems like the adventure’s over for last-gen console owners. Spotted via Eurogamer, a post on the official Dragon Age website details an inbound save importer functionality that will carry over save files and special items from the last PlayStation and Xbox consoles to the newer ones. The key line for people who haven’t gotten PS4s or Xbox Ones yet? 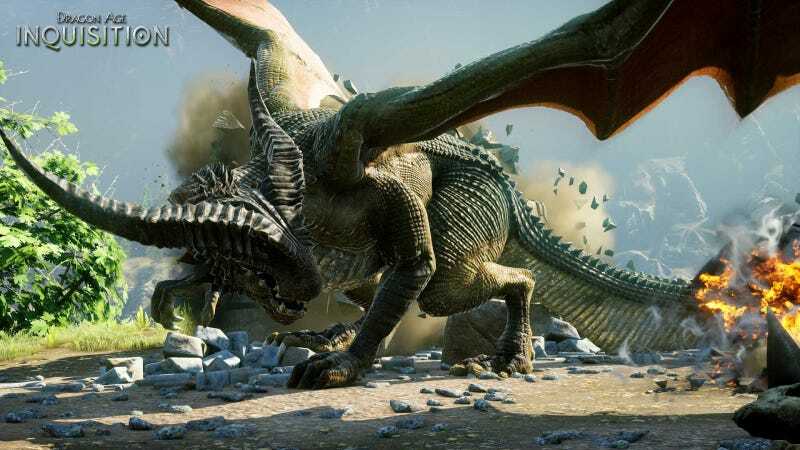 Dragon Age Inquisition’s Jaws of Hakkon DLC came first to PC and Xbox One back on March 23 and later appeared on PS3, PS4 and Xbox 360 on May 26. It looks like future add-ons won’t be following suit, though, a change that probably won’t be received well by DAI players who were annoyed by the timed exclusivity of Jaws of Hakkon. The save exporter will be part of DAI’s July update and it should be noted that savegame exports/imports won’t work for PC. Full details bringing files from the old consoles to new ones can be found here.